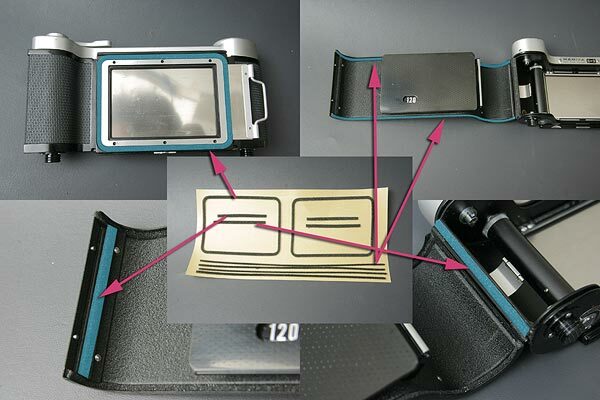 This is Mamiya Press 6 x 9 Film Holder's Light Seals foam (backdoor gasket sponge and Mirror Cushion) replace kit. This seal kit covers whole Mamiya press 6 x 9 film holder's Light seals as below. Film Holder is NOT included in this item. Please confirm the size before you purchase. Click Here to get the PDF file. 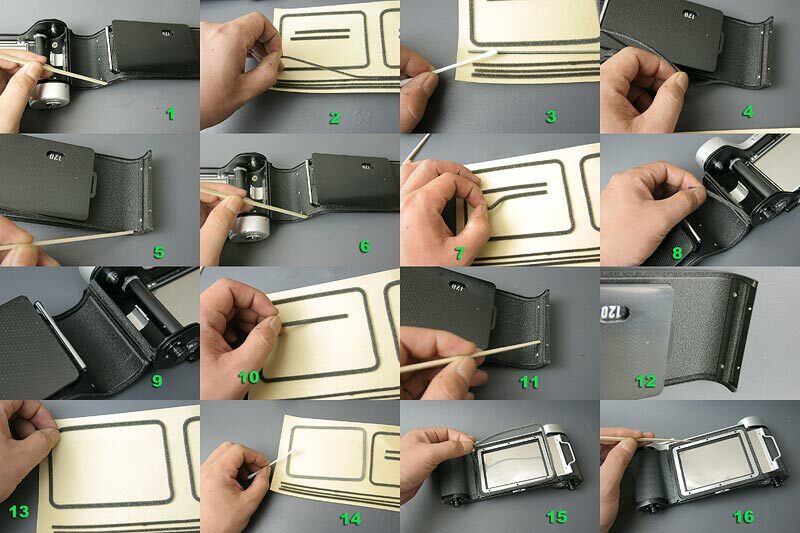 2 foam kits are included, you do not have to worry if you waste one or two. 1. Remove the old light seals and clean up the residue with alcohol or benzine. 2. Take out the new light seal from the base paper. 3. Use cotton swab or paint brush and rub alcohol or water on the adhesive (sticky) side. 4. place the seals onto the ditch. 5,6. Use flathead screwdriver and adjust the seals before the alcohol get dry. This kit fits to Mamiya Press 6x7 / 6x9 Film Holder, does NOT fit to the other size film holders.